The 3 blade tri propellers are made from tough nylon and are supplied as a pair, one Clock Wise and one Anti Clock Wise rotation. 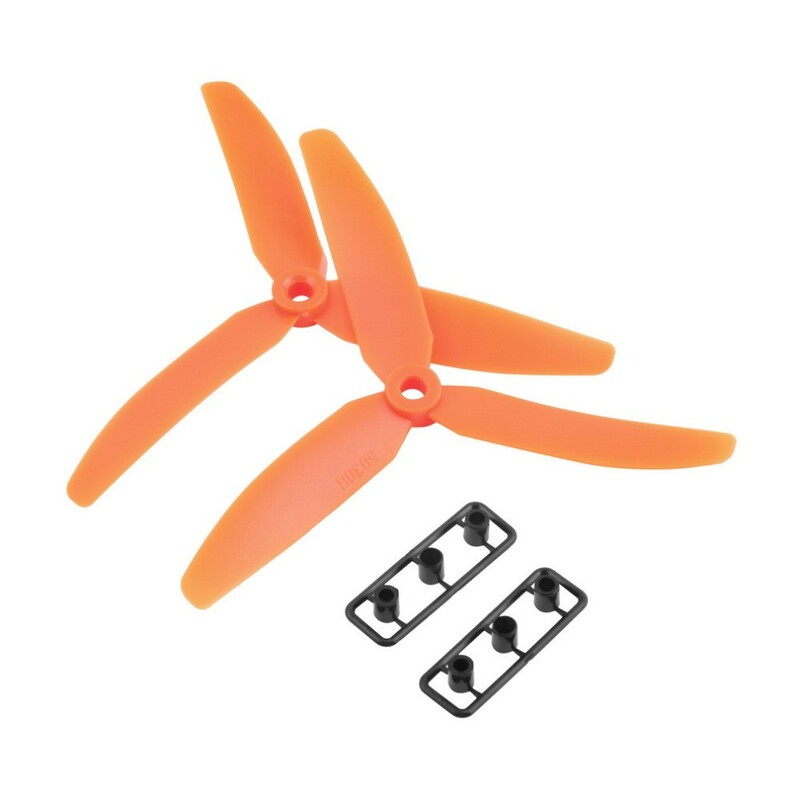 The 5x3 inch prop size is suitable for use on First Person View racing Drones that take a 5030 sized propeller. The centre mounting hole is 5mm on the hubs of these propellers.